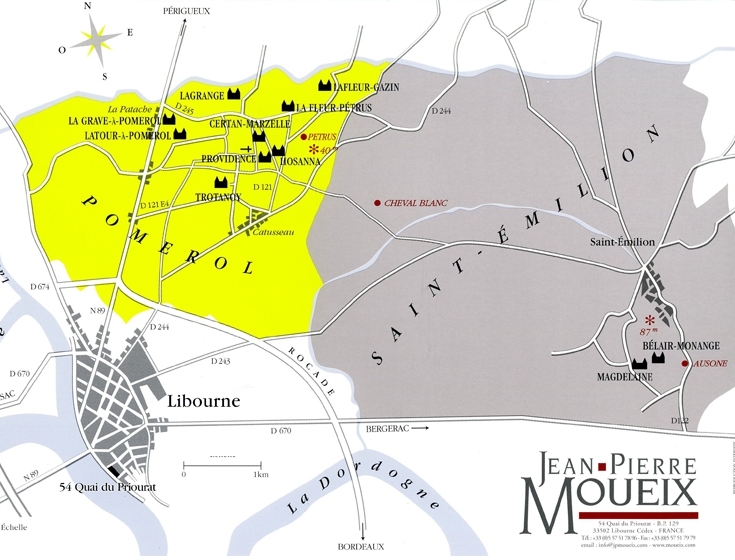 In 2005, Moueix family acquired Château La Providence which has a much more clayey soil and located between Château Hosanna and Château Lafleur. This wine had been released as "Providence" between 2005 and 2012, and finally the vineyard was merged to La Fleur Petrus. Therefore La Fleur Petrus has been expanded to 18.7ha today and producing much concentrate and powerful wine as a result of integration of new parcel from Providence. Christian Moueix’s newest baby has hit remarkable heights in 2006. Harvested largely before any rain fell on the vineyard in mid-September, it is off the charts in concentration. Atypical for the vintage, this seamless, velvety-textured, opulent, 100% Merlot cuvee (1,550 cases produced) is potentially one of the top dozen or so wines of the year. A sleeper of the vintage, it offers beautiful kirsch liqueur aromas interwoven with scents of truffles, licorice, and spice. This full-bodied, opulent, super-concentrated, stunning Pomerol will be drinkable for 20+ years.